Henri Michaux defies common critical definition. Critics have compared his work to such diverse artists as Kafka, Goya, Swift, Klee, and Beckett. 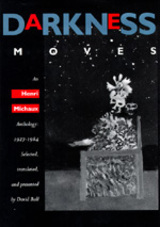 Allen Ginsberg called Michaux “genius,” and Jorge Luis Borges wrote that Michaux’s work “is without equal in the literature of our time.” This anthology contains substantial selections from almost all of Michaux’s major works, most never before published in English, and allows readers to explore the haunting verbal and pictorial landscape of a twentieth-century visionary. Co-winner of the 1994-95 Aldo and Jeanne Scaglione Prize for Translation of a Literary Work, Modern Language Association.